TALK is a parent-run non-profit dedicated to offering second-language classes for elementary school-aged kids in Davis, California. This blog is written by the teachers, to offer glimpses into the children's adventures in language learning. Recently we learned vocab that has to do with cities. Each student designed their own map using the vocab of the week. Here are some photos of that activity! 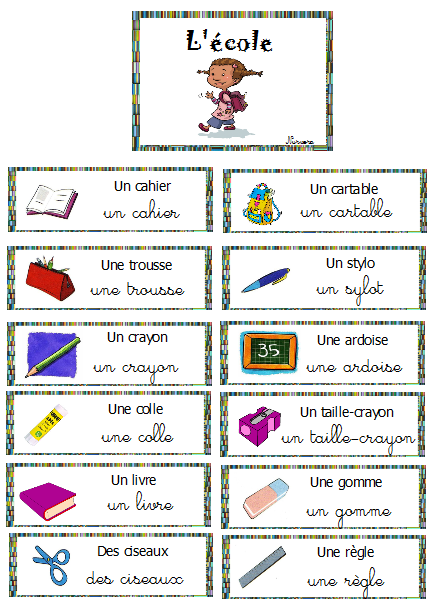 We've also been studying French speaking countries. We learned about different francophone cultures. Here's a list of all the countries we covered! We played a game where the students had fly swatters and had to run around the room swatting the country that I was describing in French! It was very fun! Every Thursday, I read a French book to the students but sadly we have read all the French books that the DAC has and are needing some new ones! So, if you have any French books at home and are interested in donating them to the program or even just loaning them for one Thursday it would be very much appreciated! Doctor, nurse, cops, military, priest, president, etc are the professions that does not use "person" sign. Have a GREAT SPRING BREAK!!!! See you in May! 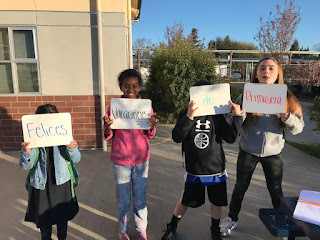 These past two weeks, the kids had a review week to freshen up on vocabulary we reviewed before (the much needed) break as well professions. 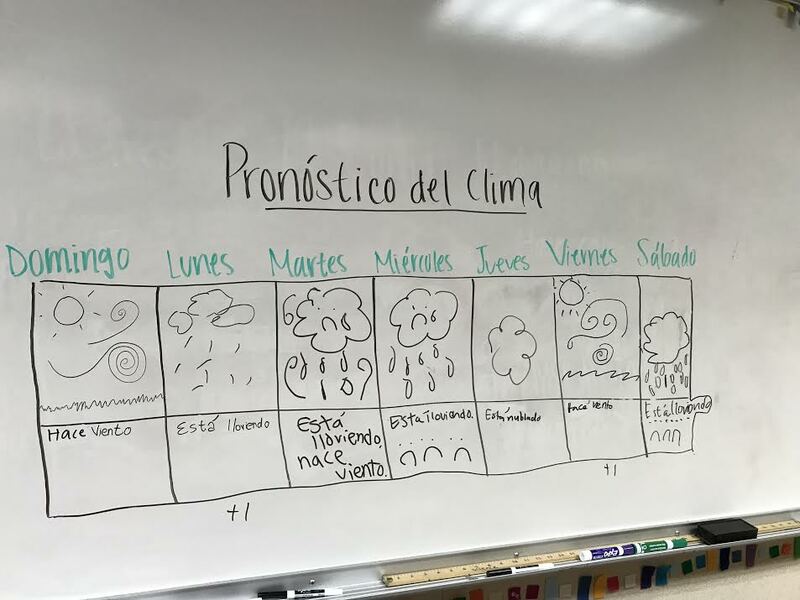 The first week of April we reviewed some of the kids favorite topics, such as sports, emotions, food and the weather. The kids also went over the verb to like (gustar), to have (tener), and to be (ser). We played a variety of games, such as charades, the hot seat, and headbands. 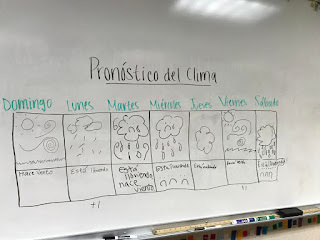 The kids also worked together to make a weather report of what they thought the following week would look like in Davis. 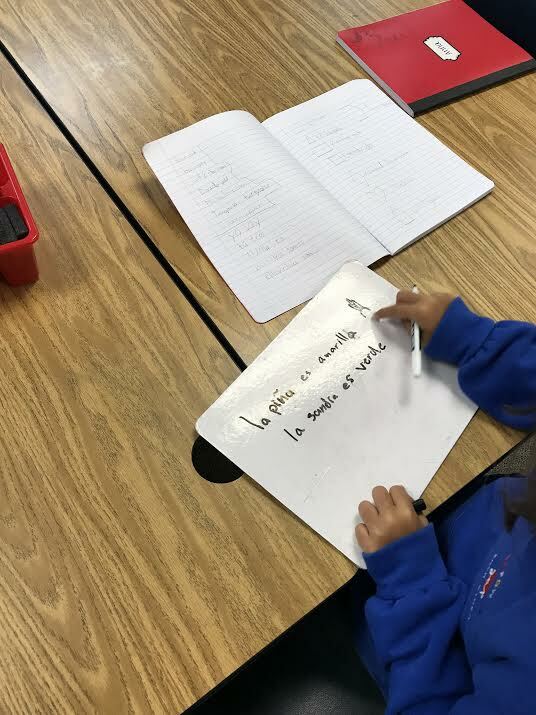 This last week the kids started reviewing professions along with the verb combination to want to be (querer ser) and to work (trabajar). 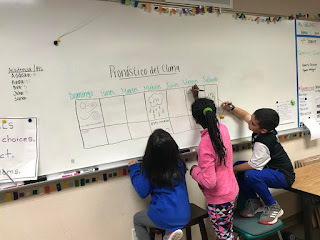 We played flowerpot, and pictionary; and the kids also made their own bingo cards by choosing their favorite professions. By the end of the week the kids were able to verbally express what they wanted, or not wanted, to be when they grow older. The kids played the hot seat to review emotions. 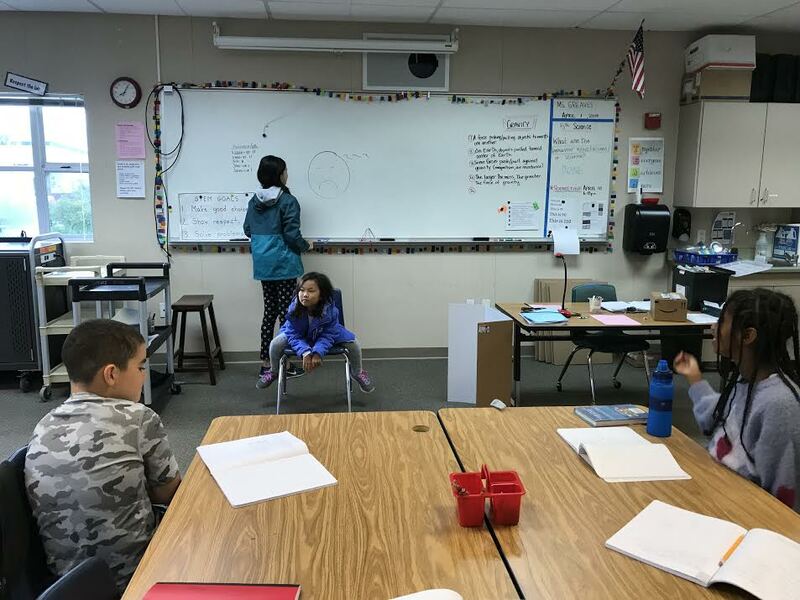 This week in class we learned and practiced signs for the rooms in a house. The kids know everything from bedroom to garage to laundry room! 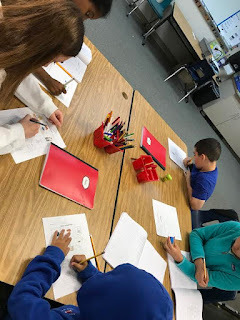 All week we also worked on an art project where the students drew each room of their house as we learned the sign for it. Now they have booklets of their drawings called My House! You can see some pictures below; try to guess which rooms they are! The week before Spring Break, we went over house related signs as seen below. 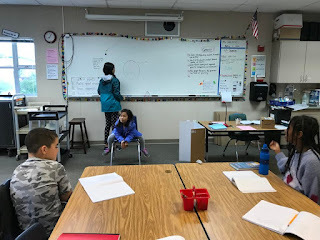 Each student drew their own house or a dream house, and then presented it to the class using the house signs we learned. Be sure to ask your students to teach you the signs for the different rooms in your home! HOUSE, KITCHEN, DINING ROOM, LIVING ROOM, FAMILY ROOM, PLAY ROOM, BATHROOM, BEDROOM, LAUNDRY ROOM, CLOSET, OFFICE, GARAGE, ATTIC, BASEMENT. On Tuesday, we said good bye to Teacher Tara, and thanked her for all she has done for TALK! We will definitely miss her, and we wish her a safe move with her family. Please feel free to reach out to me with any questions or concerns via email at klcuevas@ucdavis.edu. I am excited to be working with your students, and look forward to seeing them after Spring Break! The week before Spring Break, the kids went over different vocabulary related to spring! We reviewed words like rain, rainbows, butterflies, lady bugs, and more! We also went over the verb conjugation of the verb to be, which in Spanish we have two: ser and estar. The kids and I went over when to use which and worked on sentence building describing stuff related to spring. 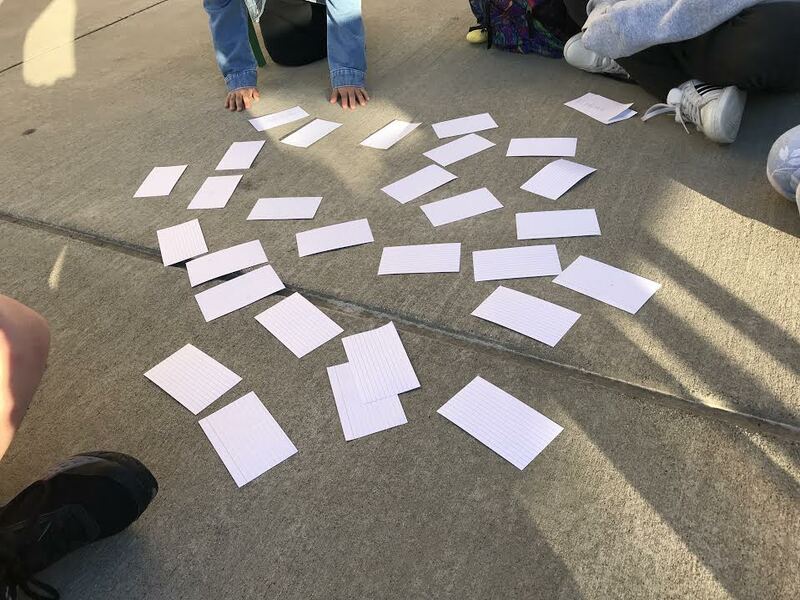 Due to the Book Fair, we held class outside the majority of the week, and although it was a bit cold we managed to have fun! We played a variety of games, such as play the kids' favorite game "Steal the Bacon," build spring related vocabulary out of play-doh and played matching pairs too! The kids and I wish you all a Happy Spring Break! 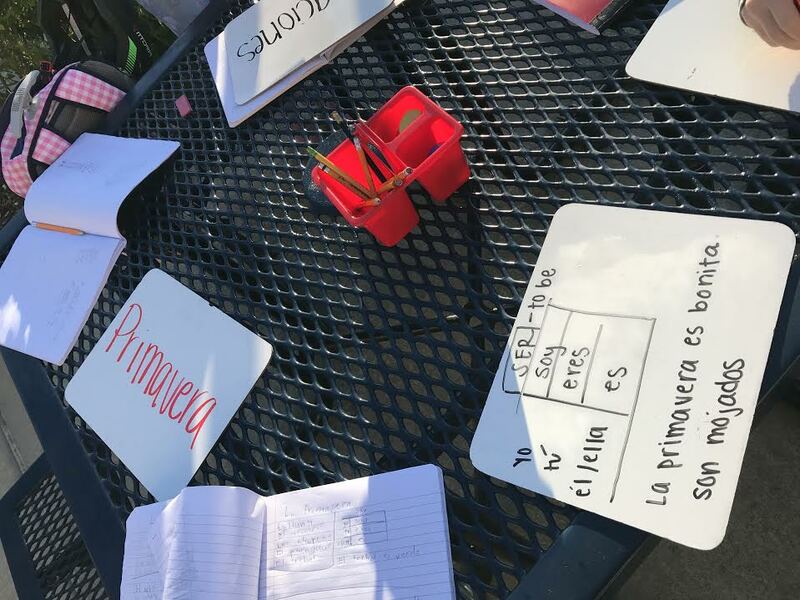 With the break coming to an end, I also wanted to invite you to help me give a warm welcome to Maestra Evelyn, who will be teaching Mondays/Wednesdays due to my class-scheduling conflict. Our class has been working really hard and I can tell how much our students are learning! Each week they get better and better at retaining previous vocabulary and being able to add it to new words. I am really pleased with everyone's progress. - "Quel âge as-tu? "- How old are you? - "J'ai (number) ans"- I am (number) years old. - "Quelle est la date?" 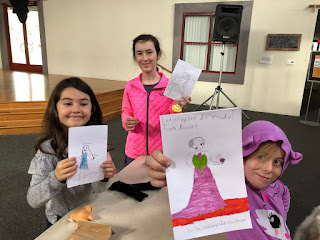 - "Aujourd'hui, c'est vendredi, le 15 mars"
When learning clothing vocabulary, students got to make their own "Catalogue de Mode"- Fashion Catalaog! They drew their own outfits and labelled and priced them in French.